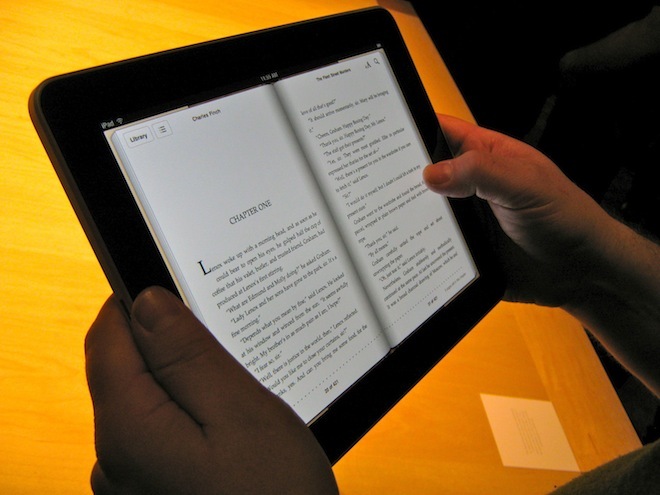 Apple has introduced an update to its iBook application which significantly improves the reading experience on iOS devices. Update 1.5, released today, according to 9to5mac, now includes a nighttime reading feature — which optimises the display to improve the experience of reading in the dark — and a full screen display option. The effect of the latter, which removes the clutter and distraction of the tool bar, page numbers and other details, is particularly noticeable on an iPad, on which the entire screen can now be devoted to reading material. 9to5mac also reports that the iBooks app includes other minor updates, including ‘beautiful covers’ for classic titles, pop-up footnotes and improved annotation. The updated application is available to download for the iPad, iPhone and iPod touch now.